November 2016: New Yorkers write post-it notes of encouragement at Union Square station following the election of Donald Trump. Aug. 22, 2012: Patricia runs a shelter for homeless animals called "Hope for Kitties inc." and holds adoption events in Union Square. Aug. 22, 2012: A view of Patricia's hand. She holds adoption events for the kittens she rescues in Union Square. Election Day 2012: A man casts his vote at a polling station. Election Day 2012: A voter arrives at her polling station in Manhattan. Election Day 2012: Election day coverage broadcasts at Rockerfeller Plaza. 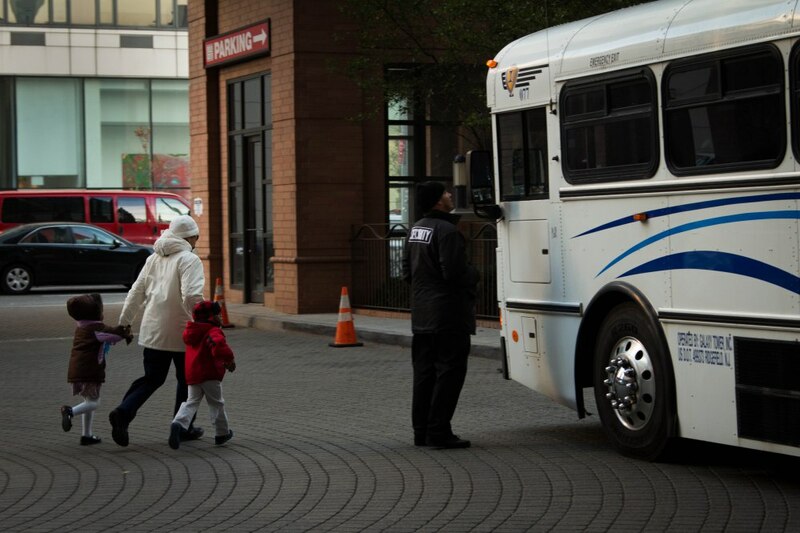 Election Day 2012: A voter is lost when she arrives at a closed polling station. Election Day 2012: Crowds gather in Times Square to watch the election results come in. 7 Sept. 2012: Occupy Wall Street protesters return to Zuccoti Park. 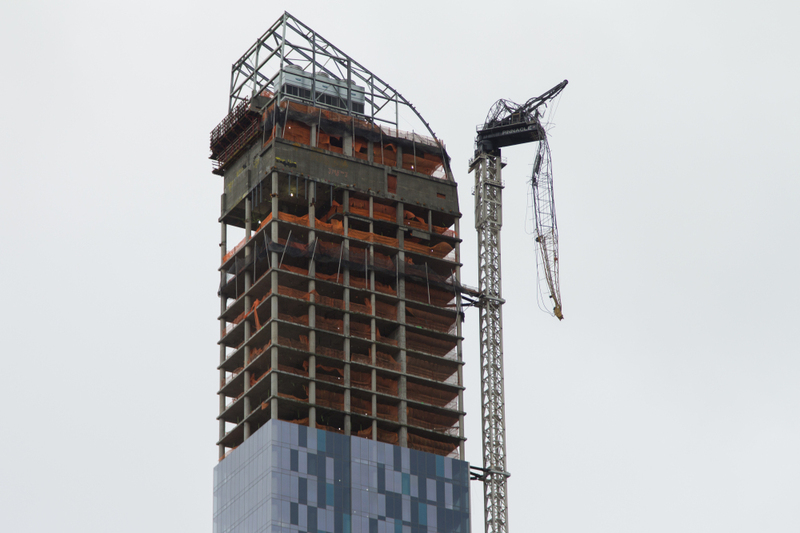 Crane broken as a result of Hurricane Sandy in Manhattan, New York. Residents remove downed trees in Manhattan. Oct. 6, 2012: Sharon, a member of the "World Can't Wait" activism group, protests outside the military recruitment office in Times Square, New York. 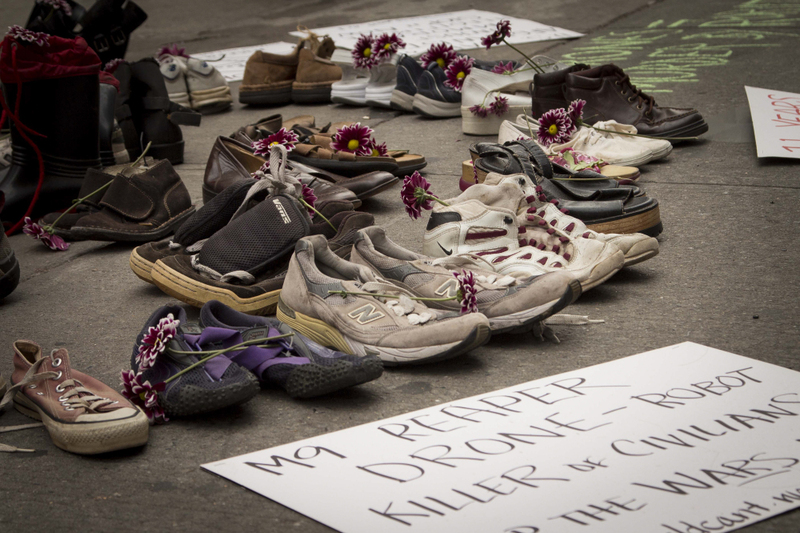 Oct. 6, 2012: The "World Can't Wait" protest group hold a memorial of shoes for the civilians killed in the Iraq and Afghanistan wars in Times Square.